Score a bull's-eye with this incredible bust of the world's deadliest assassin! 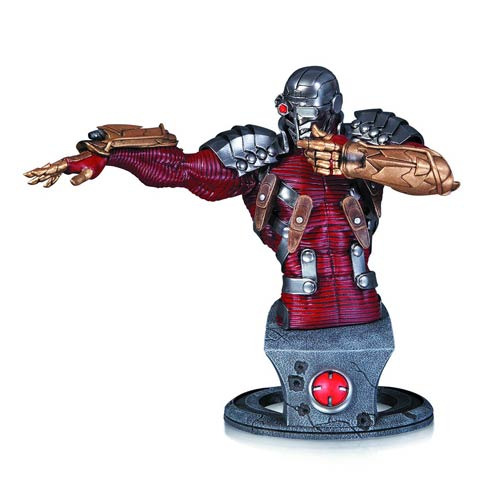 Designed by superstar artist Jim Lee, this incredible DC Comics Super Villains Deadshot Bust certainly aims to please fans! Measuring approximately 6 3/4-inches tall, this collectible is limited to only 2,500 pieces world wide! Don't miss the mark - order today! Ages 14 and up.